Rationale for having a uniform code. 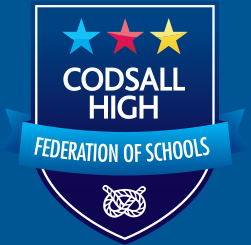 By choosing to send your child to CCHS there is an implicit agreement that the school’s policies and standards will be adhered to and, more importantly, supported. We do not want to waste your time or our time being diverted from our core purpose i.e. learning, by having battles about uniform. We have significantly enhanced the level of detail in our uniform guidance to ensure that there is little confusion or room for interpretation. We will be reviewing our uniform in the next year. 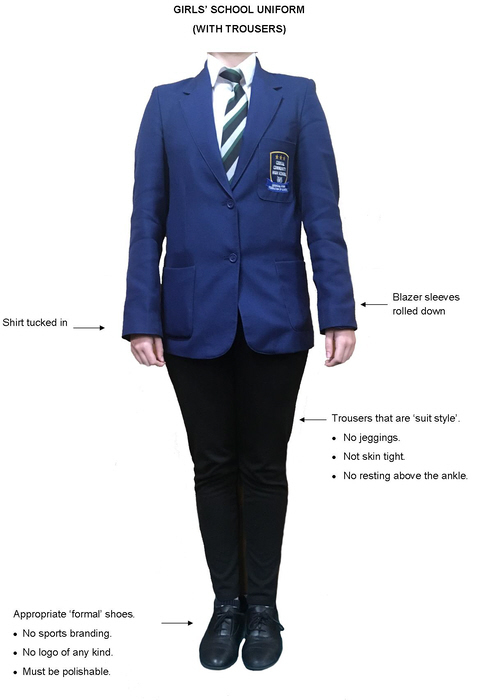 Why do we have a school uniform? 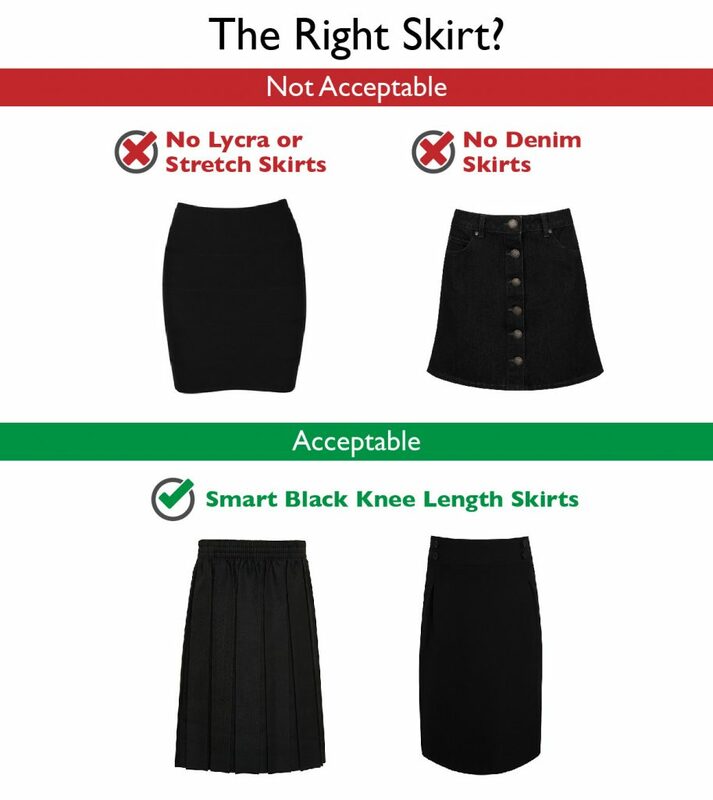 Clothes are a status symbol in schools. Many students who are unable to afford the newest fashions or name brand clothing are ostracized and made fun of. A school uniforms puts everyone on an even playing field and prevents this type of bullying from happening. If every single day, every person in the school is sporting their school’s colours, then a feeling of unity and togetherness is inspired. This helps with the overall moral of the student body and ignites a higher sense of school spirit and pride. Knowing exactly what you are wearing for the day, and having no other choice, greatly reduces the amount of preparation and time that is required on getting ready for school in the morning. This helps to reduce stress in the students and parents, as well as allow for a more restful night sleep. The pressure to buy children, especially the older ones, expensive clothing which is in line with current fashion trends is huge for parents. School uniforms are often much cheaper than buying an entire wardrobe of on-trend and fashion branded clothing. We are determined that we have the highest standards possible for our students to ensure that they are well prepared for life after school. By giving parents much more detailed guidance we anticipate that we will avoid some of the more recent issues experienced. A minority of students refusing to follow our uniform code with parental support. 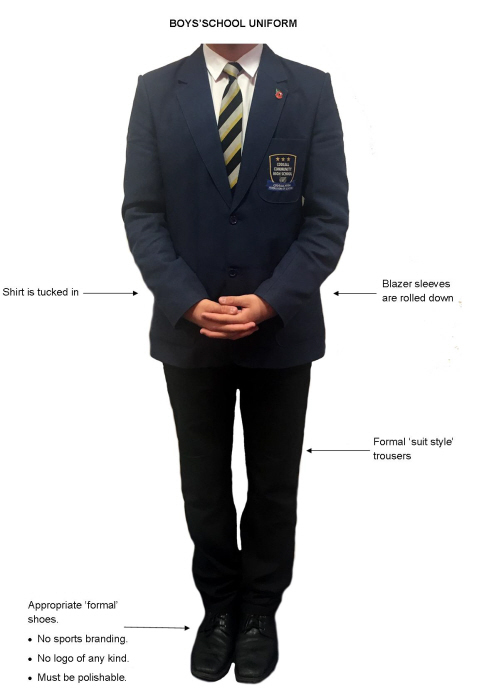 Please be aware that we will be operating a far more rigorous approach to uniform than in previous years. 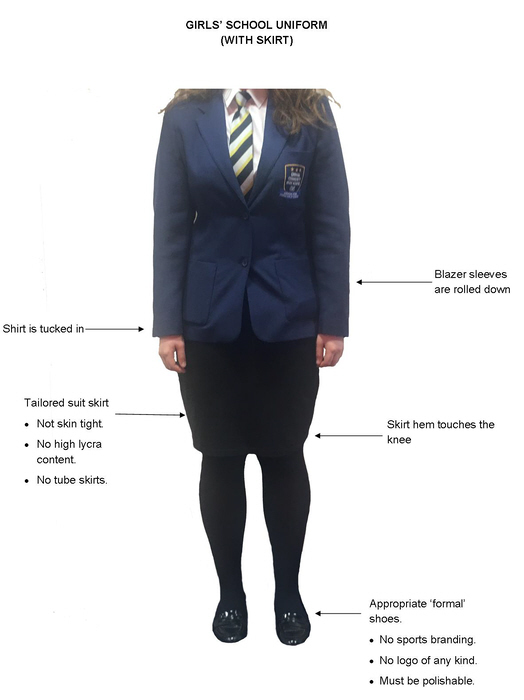 For all bar exceptional medical circumstances (backed up with a note from a GP) students wearing the incorrect uniform will be isolated UNTIL THE PARENT / CARER brings the correct article of uniform to school. High fashion/cult hairstyles are not permitted. Shaved heads (shorter than a grade 1) and shaved eyebrows are also not permitted. Any cult and other extreme of fashion, hairstyle or body marking/piercing is banned. False nails and nail polish are not permitted in school. Parents will be required to collect any confiscated items. If they are not collected within four weeks they will be disposed of. Hair should be within the natural range of colours. One plain gold or silver stud earring in each ear lobe is permissible – no other jewellery is permitted.